I have exciting news. 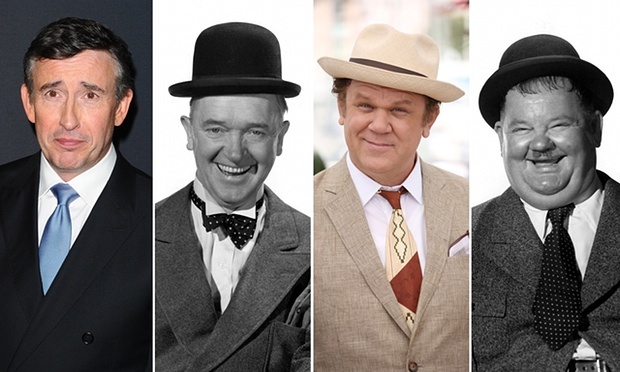 Steve Coogan will play Stan Laurel and John C. Reilly will portray Oliver Hardy in BBC Films’ Stan & Ollie, a biopic centering on the final 1953 UK tour of the famed comedy duo. The story centers on the world’s favorite comedy double act, who set out on a variety hall tour of Britain in 1953. Diminished by age and with their golden era as the kings of Hollywood comedy now behind them, they face an uncertain future. 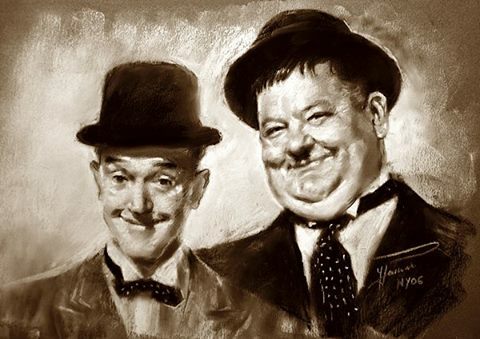 The tour becomes a hit, but Laurel & Hardy can’t quite shake the spectre of Stan and Ollie’s past; coupled with Oliver’s failing health, start to threaten their precious partnership. A portrait of their creative marriage begins to unfold as the duo, aware that they may be approaching their swan song, try to rediscover just how much they mean to each other. To be directed by Jon S. Baird, the screenplay for the Laurel & Hardy biopic has been written Jeff Pope, the Oscar-nominated writer of Philomena. BBC Films developed the feature alongside Faye Ward’s Fable Pictures and Jeff Pope’s Sonesta Films. This production I promise to monitor. Glenn Frey was part of the quartet, The Eagles, arguably one of the most successful pop bands in the rock-era (along with The Doobie Brothers). His voice was melodic on New Kid in Town, Take it Easy, Peaceful Easy Feeling, Tequila Sunrise, Heartache Tonight, and Already Gone. Frey (right) co-wrote some of their biggest hits, including The Best of My Love, One of These Nights, Hotel California, and Desperado. During his solo career, he was tied to motion picture and television soundtracks: Beverly Hills Cop, and Miami Vice. He also had roles in Jerry Maguire, and on the small screen, Miami Vice, Wiseguy, Nash Bridges, and Arli$$. A documentary, History of the Eagles, premiered at the Sundance Festival in 2013. The Heat is On, You Belong to the City, Smuggler’s Blues, The One You Love, and I Found Somebody were his biggest solo hits. The band, primarily made up of Frey, Don Henley, Joe Walsh, and Timothy B. Schmit, was to have been honored at the Kennedy Center last month. However, the appearance was postponed because of Frey’s health problems. 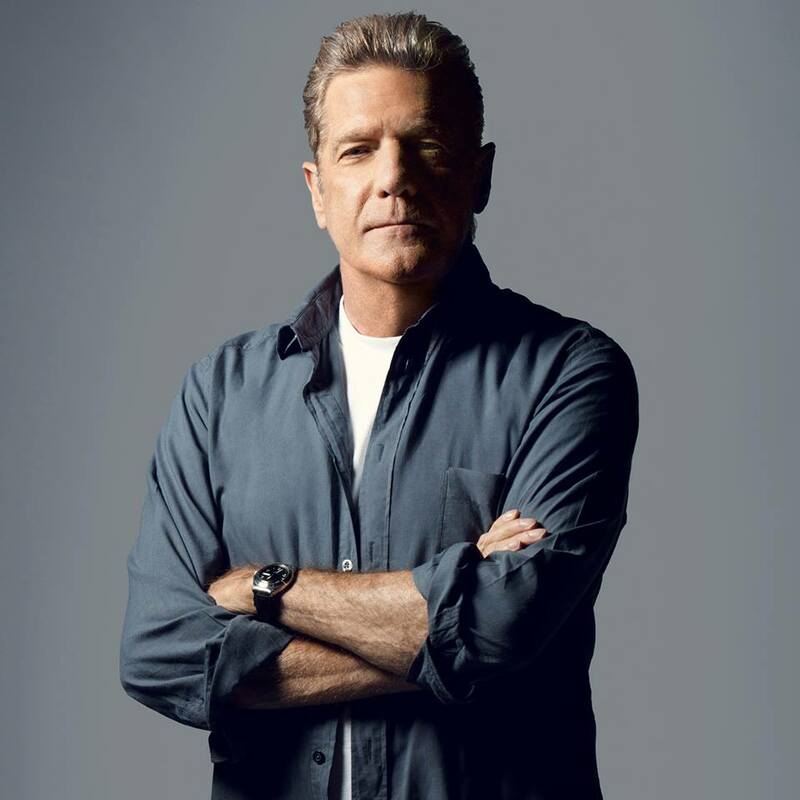 The mercurial Glenn Frey was 67. This entry was posted on Tuesday, January 19th, 2016 at 1:33 am	and is filed under Blog by Manny Pacheco. You can follow any comments to this post through the RSS 2.0 feed. Responses are currently closed, but you can trackback from your own site.